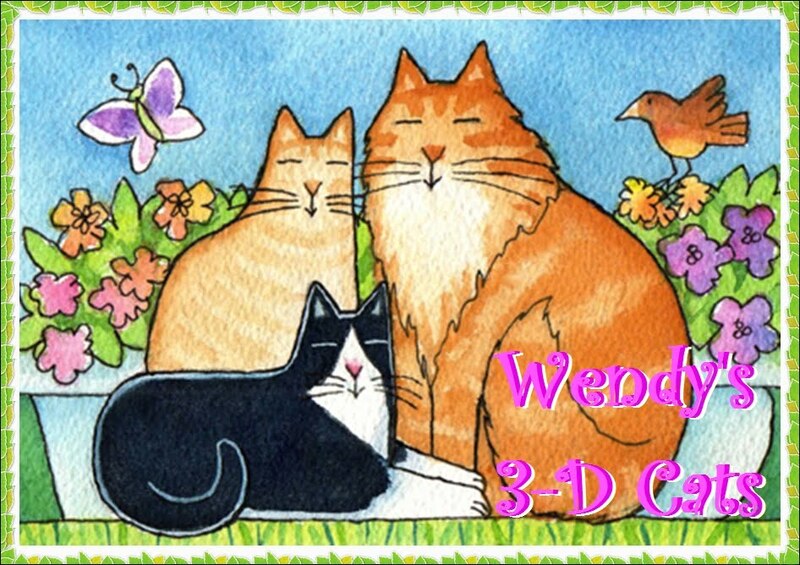 Wendy's 3-D Cats: TUXY TUESDAY WITH DOMINO: POT-PURRY! Today, we have an eclectic mix of photos of Domino taken during the month of February 2012. Domino is normally very grounded, but her two front feet are caught mid-air in this one! Domino is truly a ladycat-on-the-go! One of her daily missions is to inspect the neighPURR's porch. She just can't resist being NOSEY! ... before putting it to the test outdoors. "I mus' say, it's kwite outSTANDING! ", she exclaims. ... before making that long Arctic trek! And once back home, Domino just couldn't shake the feeling that she had been shadowed. She definitely has a sixth scents! Domino truly has a nose for this sort of thing. She adores potPURRY because it's chock full of so many different smells! "I jus' cant wait ta do dis again! ", says she. You are such a cutie Domino and I enjoyed tagging along on your journey! Hi there Domino. That pink sweater is just terrific. Where does Mom get your clothes? 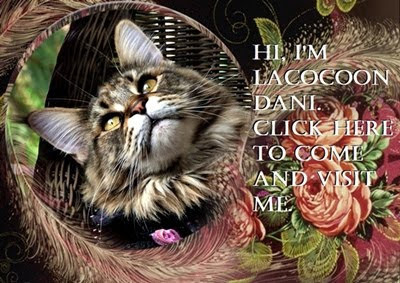 We will write her an email. Take care. What a lovely sweater Domino - it makes your furry look marvellous. I love that pink sweater on you! I think that pink sweater is great Dommy!!! Although I don't like wearing clothes myself, I think I would appreciate a sweater if I were going out in the snow! Even though we don't wear clothes, pink is our favorite color and we love that sweater on you. We just love your pink sweater! we think you like the snow too! Me sees yous has snows too! Me went outside a few times. That pink sweater looks fabulous on you! You're so lucky to be able to go outside! Cute little Domino. I love her in her pink fuzzy jacket. Happy Leap Year Day!! !